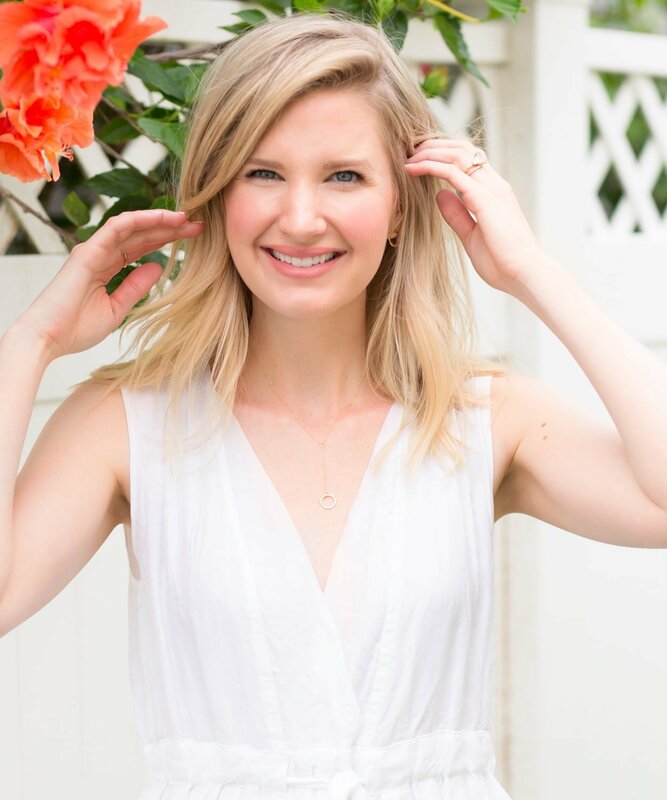 I love summer beauty for many reasons, but one of my favorite reasons is it literally takes five minutes to do! And, who can’t get behind a 5 minute make-up routine?! No, seriously, part of the reason we have to quite literally change our beauty routine in the South is because the humidity is SO. VERY. REAL. For 3-4 months out of the year, it feels like we are living under water, and no matter what, you’ll always have that “glow” aka, sweat. So, you can either try to fight it and just keep layering on the powder and thick foundation until it melts off or… you can put on tinted moisturizer, add some liquid highlight, and just decide you’re going to be all about that “GLOW”. This year I’ve decided to totally lean into the glow-y Disney princess look, which pretty much consists of an entire bottle of highlighter and mascara. But don’t worry, if you are still fighting it out with the powder and matte foundation, my heart goes out to you… I’ve been there, good luck friend. 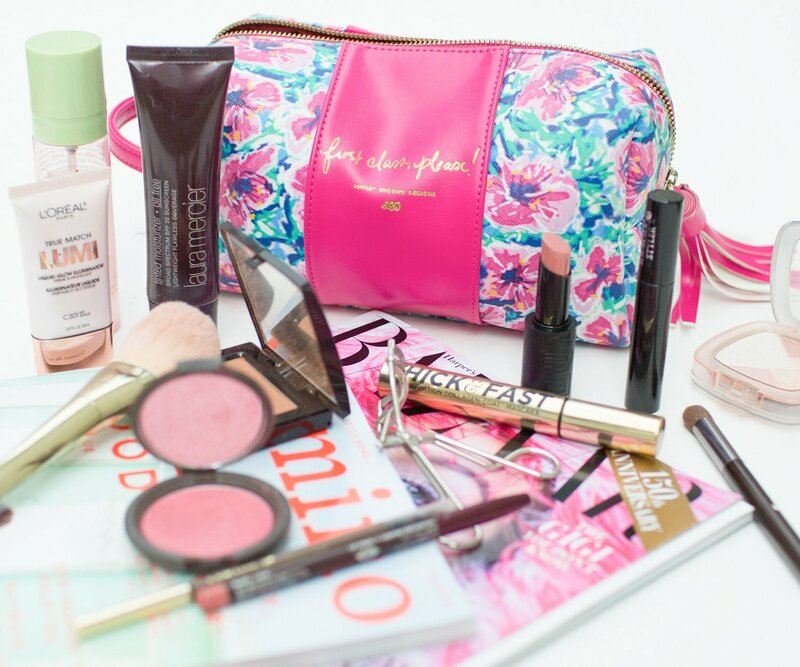 Side Note: If you don’t already have an ABD make up bag, you need one! It holds EVERYTHING! 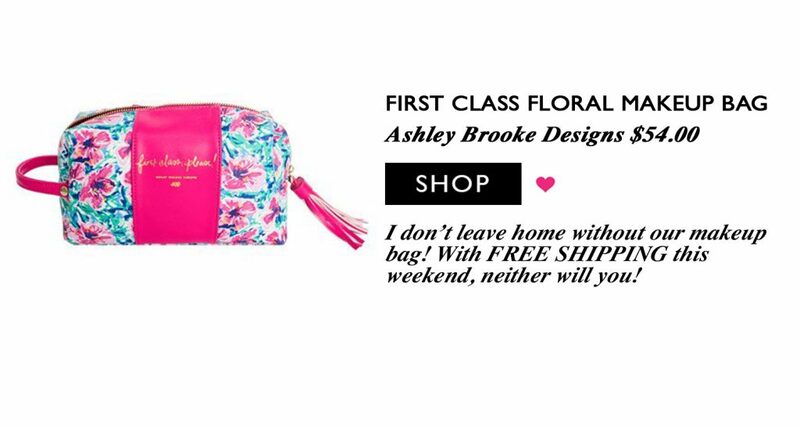 Also, we are running free shipping today… so add it to your cart! Face: Laura Mercier Tinted Moisturizer (in “Light Beige”) – I’ve tried others, but this one is the best! Cheeks: Becca Blush (in “Camellia”) – I really LOVE their blush, I’ve been using it for about a year now, and it’s VERY pigmented… which I like! Rosie cheeks forever! Contour: Laura Mercier Bronzer (in “01”)- I’m pretty picky when it comes to bronzers, but I really like this one. Plus, it shimmers! 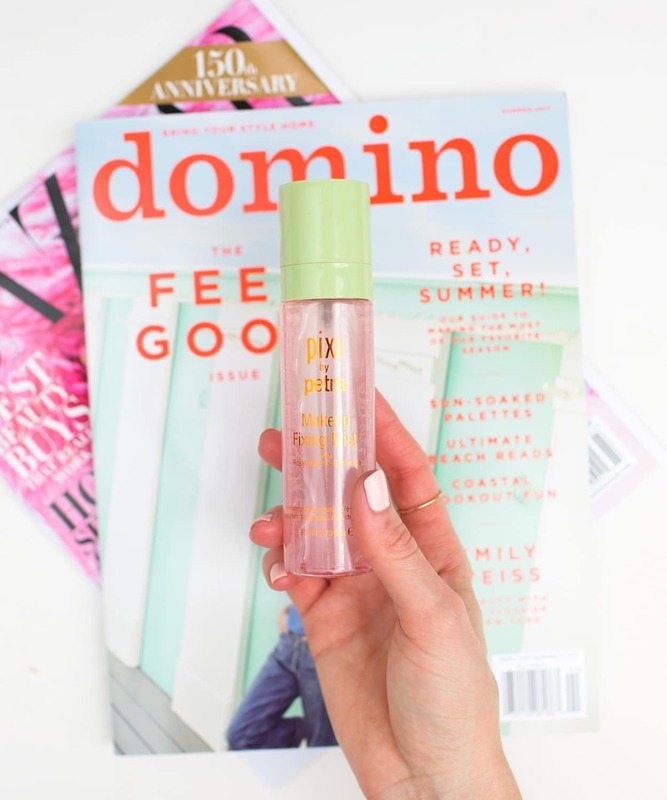 Highlight: L’Oreal Lumi Liquid (in “Rose”) – I’m obsessed with this stuff. It’s good for highlights on your face, but also your shoulders, collar bone, and shins! Again, think Disney Princess! 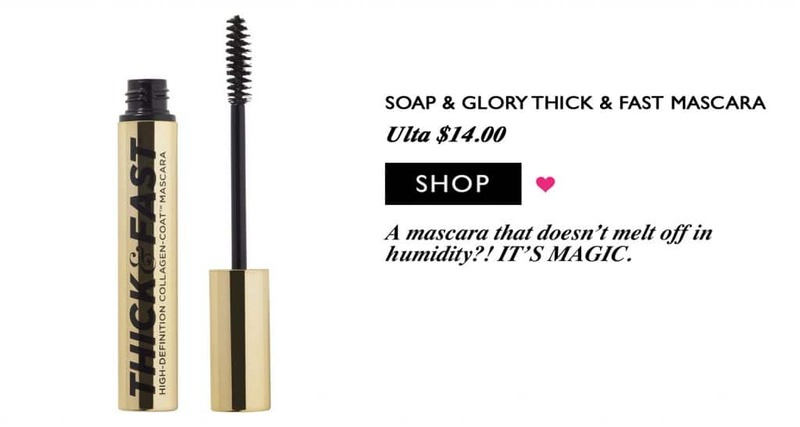 Lashes: Soap & Glory Thick & Fast – I recently received this tube of mascara and I’ve almost used the whole thing! My favorite part about it is it’s truly not effected by the humidity…?! It’s like it’s magic or something! Brows: Lancôme Brow Liner ( in “Blonde”)- I change brow liners all the time, but right now I really like this one! Lips: Buxom Matte Gel (in “White Russian”) – This lipstick is so pretty and SO natural. I’m super obsessed with it at the moment! 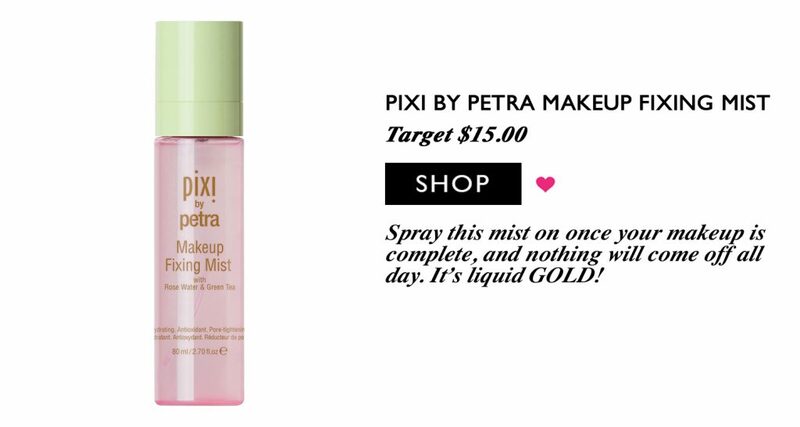 Mist: Pixi Makeup Fixing Mist – I’m still not 100% sure what this does, but I looooove it. Also, it makes me feel instantly glowy and like I really know what I’m doing. I don’t leave home without this! 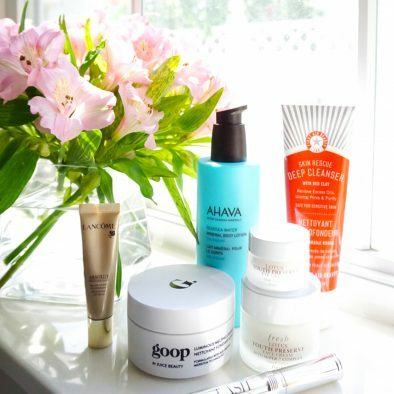 If you try out any of these products, you’ll have to let me know what you think! I always love hearing your feedback! Also, we’ve been toying around with the idea of doing videos… is that something you’d be interested in?! We’d love to know! Anyway, happy weekend friends! I hope your Saturday and Sunday are glowing! 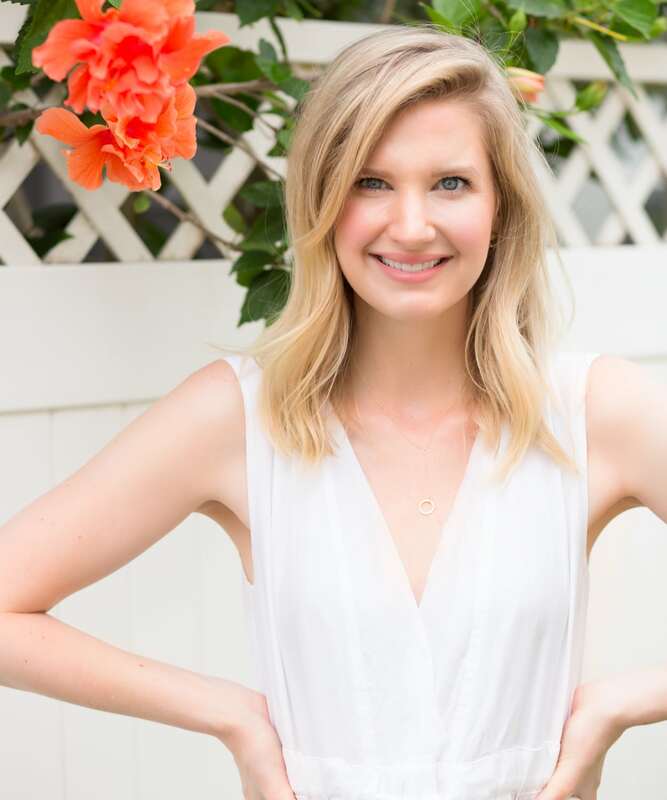 My top 5 habits and 3 products that make all the difference! It’s a big YES to videos!!! I would love for y’all to do videos! Your beauty posts are always a favorite of mine. I grew up in New Smyrna Beach, not far from you. So I sympathize with the glow! Thanks for sharing!